Try going a day without plastic. In this touching and often flat-out-funny film, we follow "everyman" Jeb Berrier as he embarks on a global tout to unravel the complexities of our plastic world. What starts as a film about plastic bags evolves into a wholesale investigation into plastic and its effect on our waterways, oceans and even our own bodies. We see how our crazy-for-plastic world has finally caught up to us and what we can do about it. Today. Right now. Interested in applying for a Bridgewater Cultural Council grant? Please send applications to Bridgewater Cultural Council, P.O. Box 832, Bridgewater, MA 02324. Forms and instructions can be found on the Massachusetts Cultural Council website at www.massculturalcouncil.org. 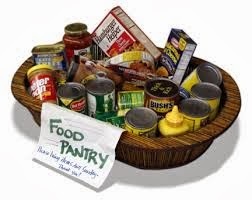 The Bridgewater Food Pantry at Central Square Congregational Church need the following list of items. They accept donations during morning hours daily. If you enter the side entrance there is a shopping cart in the entry way that items can go into. Thanks so much for supporting our local families in need. The Town of Bridgewater is pleased to announce that Olde Scotland Links Golf Course was has been ranked by New England Golf Monthly among the top 25 Public courses in New England. OSLGC was built in August 1997 on the former Chafee Farm, a 350 acre parcel purchased by the town for agricultural or recreational use. Renowned architect, Brian Silva, designed the unique, links-style course with both strategy and playability in mind. A clubhouse was built in 2012, complete with a pro-shop, function room, grille and bar. Food and beverage management is provided by Castaways. Olde Scotland Links hosted more than 30,000 rounds last year and is the perfect location for your next tournament or function. The pro shop is open daily and tee times are available year round, weather permitting. Rates vary. Visit our website for more information. Book a tee time today and see why OSLGC is receiving rave reviews. Bridgewater’s One Book One Community Committee will sponsor a kickoff event at the Bridgewater Public Library on Saturday, October 5th. The public is invited to attend “Banding Together”, which will take place from 11a.m. to 1p.m. in the Flora T. Little Meeting Room on the lower level. 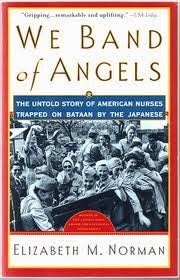 The event will celebrate a local heroine, Helen Cassiani Nestor, a WWII prisoner of war, who was featured in Elizabeth Norman’s non-fiction story: We Band of Angels: the untold story of American nurses trapped on Bataan by the Japanese. This is the true account of the first American women to prove their mettle under combat conditions. During three years of brutal captivity at the hands of the Japanese, they also demonstrated their ability to survive. Mark Nestor, son of Helen Cassiani, will speak about Helen, followed by a trip to St. Thomas Aquinas Cemetery to lay a wreath on Helen’s grave. Light “WWII era” refreshments will be served at the library. 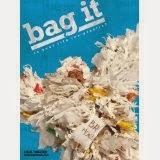 For more information about We Band of Angels and One Book One Community, visit http://bridgew.edu/upc/onebook.cfm. For information about Elizabeth Norman, visit http://steinhardt.nnyu.edu/profiles/faculty/elizabeth_norman. This semester’s One Book One Community program is a partnership of Bridgewater State University, Bridgewater-Raynham Regional High School, Williams Intermediate School, Friends of the Bridgewater Public Library, Bridgewater Public Library, Bridgewater Senior Center, Raynham Senior Center, and the Bridgewater State University Bookstore. Parking is available in back of the library, which is located at 15 South Street. Mark your calendars Around the Common readers! This weekend check out The Giving Tree Consignment's fall sale at the Knights of Columbus. Shop for great deals on children's clothes, toys, sports equipment and accessories. This is going to be our biggest sales event yet! Then head over to Autumnfest. It's going to be a great weekend in Bridgewater! During September and October, the students of Candace Cotterman will be exhibiting a selection of their work at the Bridgewater Public Library. Candace is an art instructor and the owner of Bridgewater Art & Custom Framing at 50 Central Square, Bridgewater. 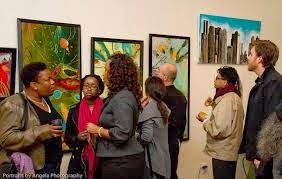 The selection includes oils, tempera, block print ink, dye/pencil, watercolors, textile/thread, wax/dye, and pastels. Artists are: Petra Littlewood, Brett Guaraldi, Hannah Swartz, Hannah Rideout, Carley Pearce, Izzy Rossi, Lily Gentile, Taylor Gray, Gabe Walden, Ally Hopkins, Julia Hopkins, Patrick Lyman, Nevaeh Johnson, Lilah Johnson, Caroline Bligh, Jamie Saade, and Ashley Tramonte. The Flora T. Little Gallery is open during regular library hours. The library is open Monday, Tuesday and Wednesday from 9a.m.-8p.m. ; Thursday from 10a.m. – 5p.m. ; Friday and Saturday from 10a.m. – 2p.m. The Friends of the Bridgewater Public Library will sponsor a Book Sale on Saturday, September 28th, in the Flora T. Little Meeting Room on the lower level. 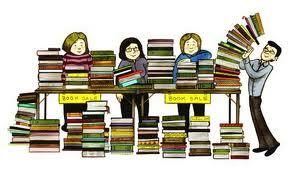 The public is welcome to browse our huge selection of books including paperbacks, classics and children’s books. This is the first book sale after a long summer of collecting donations, so come in and see the new titles we are offering! Catholic Financial Life, Chapter 278 is sponsoring a bus trip to New York City on Saturday, October 5, 2013 from Bridgewater, MA. The price of the bus trip will be $55.00. There will be two drop off sites, the 9-11 Memorial and Times Square. The Memorial is free, but tickets must be reserved in advance. Please contact Joan Gambill at joangam@comcast.net or call 508-697-3425 for information on reserving tickets. The bus will leave at 7:00 a.m. sharp, from St. Thomas Aquinas Church parking lot, Center St., Bridgewater and will return around 11:00 p.m. Please arrive at 6:45 a.m. and park in the rear of the lot. 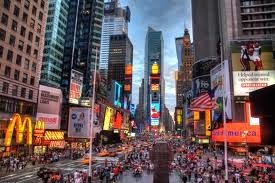 You will have the day to spend in New York. If you are seeing a show you must purchase your own tickets. Proceeds will go to St. Vincent de Paul Society Food Pantry in Bridgewater. Please make bus reservations with Joan no later than Oct. 1, 2013. The South Shore Curling Club is having a Learn to Curl session for new curlers on Friday, October 4 from 8:00 to 10:30 PM at the Bridgewater Ice Arena (20 Bedford Park in Bridgewater, MA). 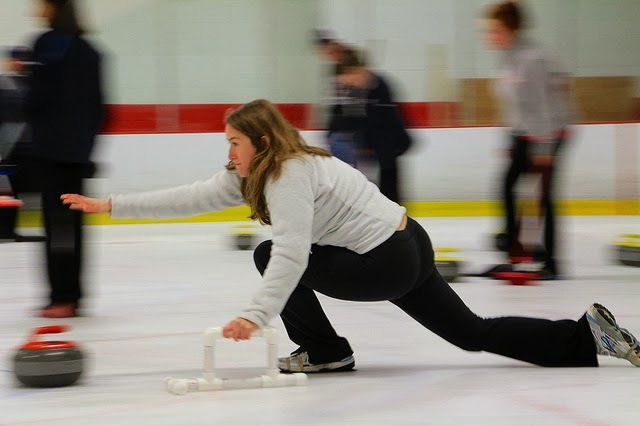 This includes a video introduction and on-ice training, followed by a real game. All equipment is provided. 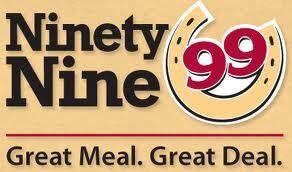 Please help support the Greater Bridgewater Women of Today restaurant fundraiser at the 99 Restaurant in Bridgewater on Thursday, September 26th from 5-10 PM. Diners must present the flyer that can be found on the group’s website www.mawt.org/gbwot/events The group will receive 15% of dine in or carry out orders from diners presenting the flyer. The event will benefit the group’s Family in Need Fund that helps local families experiencing hardships. GBWOT is volunteer organization that performs community service, raises funds to support local and national charities, and foster friendships. GBWOT meetings are open to the public and are held on the third Monday of the month. For meeting location in Bridgewater please email: greaterbridgewaterwot@yahoo.com For more information on the group visit: www.mawt.org/gbwot or visit them on Facebook. The Bridgewater Public Library, 15 South Street, will host Stephanie Woods, Tuesday, September 24 at 7:00p.m., for a presentation on Himalayan Singing Bowls. Even though the history of the Himalayan Singing Bowls has been shrouded in mystery, there is no reason why their subtle yet remarkable virtues should be hidden any longer. These instruments may be totally unfamiliar, but they have the capacity to reacquaint us with a feeling of wholeness that is hard to achieve in our fast paced and disjointed culture. Stephanie uses the Himalayan Singing Bowls, crafted out of several different metals, to play tones that resonate with those parts of an individual that are “out of tune” and looking for alignment. The music from the Bowls gently comforts and soothes. The vibrations and tones from the Singing Bowls envelop you in a cocoon of deep relaxation and peace and allow you to address physical, emotional and spiritual issues. Wear comfortable clothing, and it is strongly suggested that you bring some form of eye covering (sleep mask, bandana) to maximize the experience. Each body needs something different. Let your body choose its own healing vibrations from the Himalayan Singing Bowls. “An Introduction to the Himalayan Singing Bowls” is funded by the Friends of the Bridgewater Public Library. It will be held in the Flora T. Little Meeting Room on the lower level of the library, which is accessible by elevator. Parking is available in back of the library. Get ready for the 25th Annual Autumn-Fest 2013! This year's event will be held on Saturday, September 28th, 2013 from 10-4 p.m. on the campus of Bridgewater State University in front of Boyden Hall on the quad. 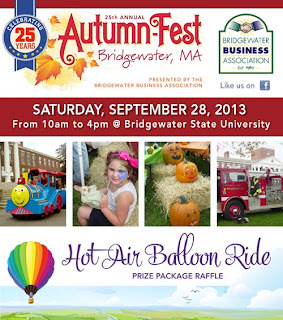 AutumnFest is a longstanding tradition in Bridgewater, MA, and is organized and presented exclusively by the Bridgewater Business Association (BBA) with the help of the Bridgewater business community. It is attended annually by over 5000 people. Visit www.autumnfest.net for more information. Bring the whole family for a fun day filled with our business expo, crafts, games, food, and music.This year the BBA will be holding a charity raffle for a Hot Air Balloon Ride Prize Package. This includes a hot air balloon ride for two, two nights stay at an area hotel, and gift card for dinner. Tickets will be on sale online until Sept 26 and all day at Autumn-fest and the drawing for the winner will be held live at 3:30 PM. Proceeds to benefit the BBA Charity Fund. This FUN-tastic day includes sampling the wonderful products and services our BBA members have to offer, delicious food and treats from local eateries, music and MC by JAS Productions, crafts and face painting, live demonstrations and activities, train rides, moon bounce from Grant's Rental, Barn Babies Traveling Petting Zoo, the Bridgewater Fire Department smoke house, Bridgewater Police Department K-9 demo, Poppee the Clown, child ID digital photo and fingerprinting (with the Fellowship Lodge A.F. & A.M.), Magic performed by Dennis Blanchard of Eventful Magic, Joe’s Crazzy Critters, Stardust Gym, Brockton Rox and K-O, ...and much, much more! Musical acts will include Neil Diamond Tribute featuring Bill "Solitary Man" Reidy, Women's Barbershop ChorusNoteAble Blend, and Bridge&Davies featuring Perry Desmond-Davies. Funds raised from Autumn-Fest, Christmas on the Common, and other events we sponsor help fund and grow the BBA Charity Fund. This fund has been established to help residents who seek assistance with life needs, not only during the harsh winter months, but all year long. The Bridgewater Business Association raises money to fund this account, as well as continue the operation of our organization. Since 2005, the BBA has donated over $75,000 and helped more than 300 area residents. Not a member of the BBA? Consider joining us for a wide variety of opportunities for your business.